Watch the cinematic trailer for Aliens: Colonial Marines, the horror-based shooter from Gearbox and SEGA. 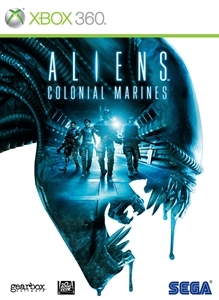 In this true sequel to James Cameron’s masterpiece Aliens, the Colonial Marines return to Hadley’s Hope to discover what became of their comrades - but what nightmarish terrors wait for them on the surface of LV-426? Aliens: Colonial Marines is due for release in Autumn 2012. Sign up for updates and exclusive content at www.facebook.com/alienscolonialmarines or www.sega.com/alienscolonialmarines.